It’s never been easier to build your own camper van. With the reduced cost and increased availability of parts, tools and used vehicles you too can make your own dream camper van, at a fraction of the cost of buying a professional conversion. 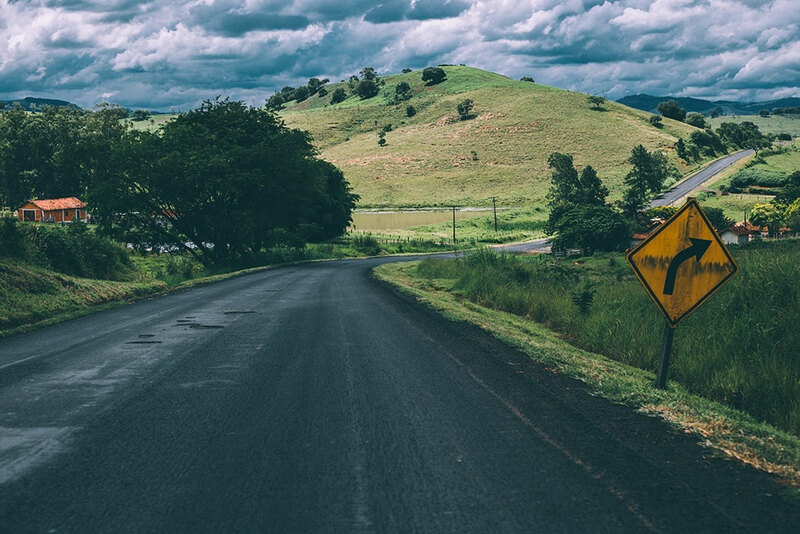 Our comprehensive guide helps you through every stage, from planning, buying an empty van, sourcing parts, choosing layouts , fitting furniture and the legal paperwork required. More and more people are converting their own camper vans. With the reduced costs of second hand vehicles, especially panel vans, and the increased availability of the parts required, it has never been easier. Building your own camper van can be a hugely rewarding project. It can also be a lot cheaper than buying a camper van. If you build your own camper van you can also have a vehicle that exactly meets your needs, especially useful if you are using your vehicles for sports, such as motorcross or surfing. If you are a competent DIY enthusiast, then you should have few problems building you own camper van. You can expect to build a good looking vehicle. See the list of self built camper vans. You can even aim for a professional looking conversion. If you have limited DIY skills, then you should not be put off. Very little is required to make a liveable vehicle. Building a basic camper van just takes a little money and time. See the list of self built camper vans for ideas and inspiration. 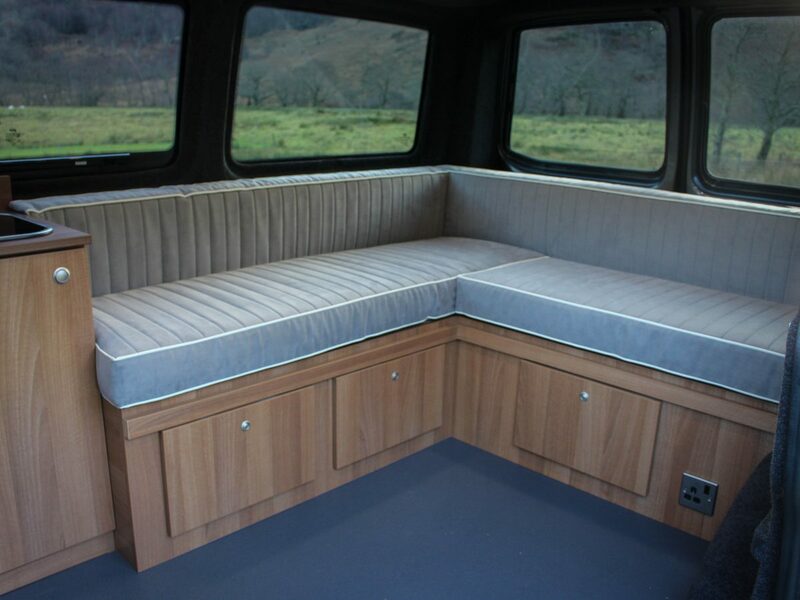 Insulating and lining your campervan is one of the most important steps to making it a comfortable environment to live and sleep. Fitting windows to your camper van conversion is one of the best finishing touches to change it from a van into a campervan. This guide lays out the different options of window type, and how to fit those windows to your van. 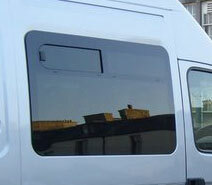 Deciding what to put in your camper van conversion is something you should decide from the start. 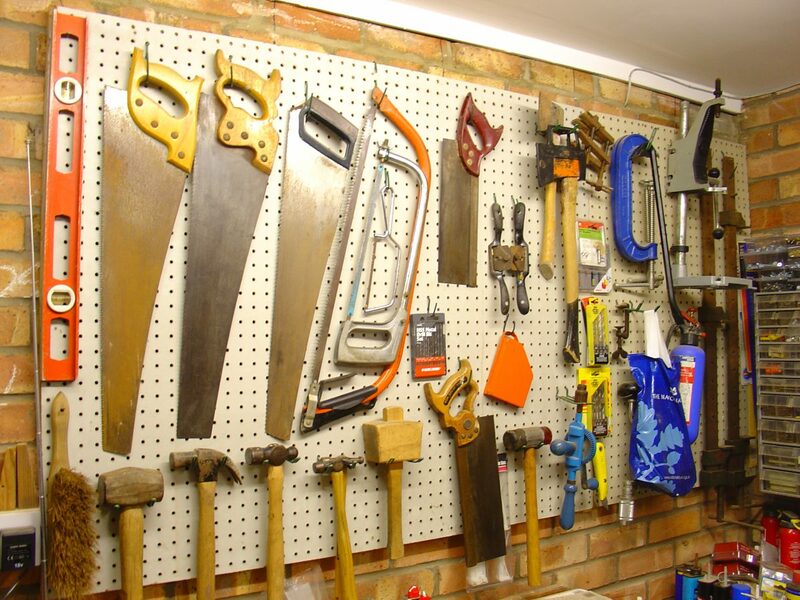 Planning your layout is essential before your start buying or making any interior parts. What you fit to your camper van will be mainly determined by your intended use of the vehicle, the size of the vehicle and your budget. There are a number of companies offering professional camper van conversions. These companies are specialists and deliver excellent work. Most will convert any vehicle you provide them, and most will source a new or used base vehicle for you. A lot of these companies also provide parts, and complete kits for your own camper van conversion. Want to do a camper van conversion but don’t have a big budget? 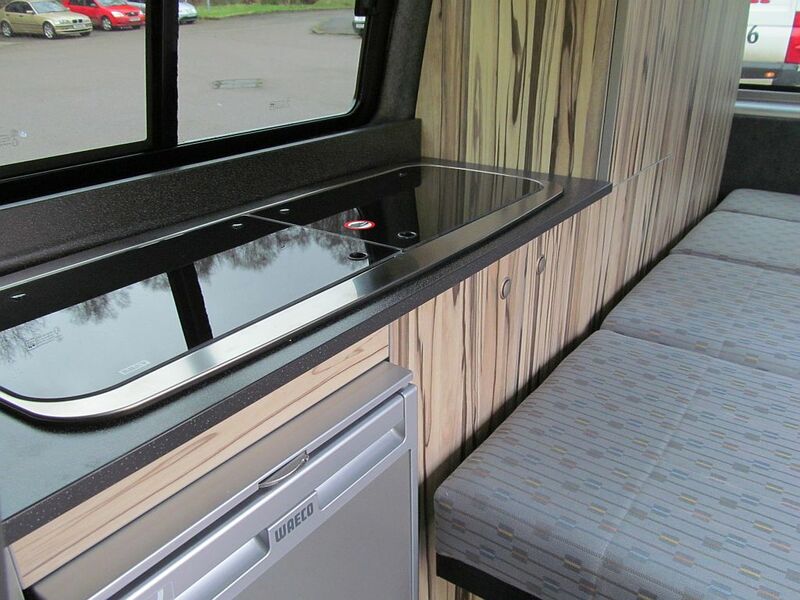 Campervan conversions don’t have to cost big money. We’ve probably all seen conversions that have cost thousands of pounds or dollars, but we don’t all want that. It’s quite possible to make a functioning camper van with little, and sometimes, zero money. 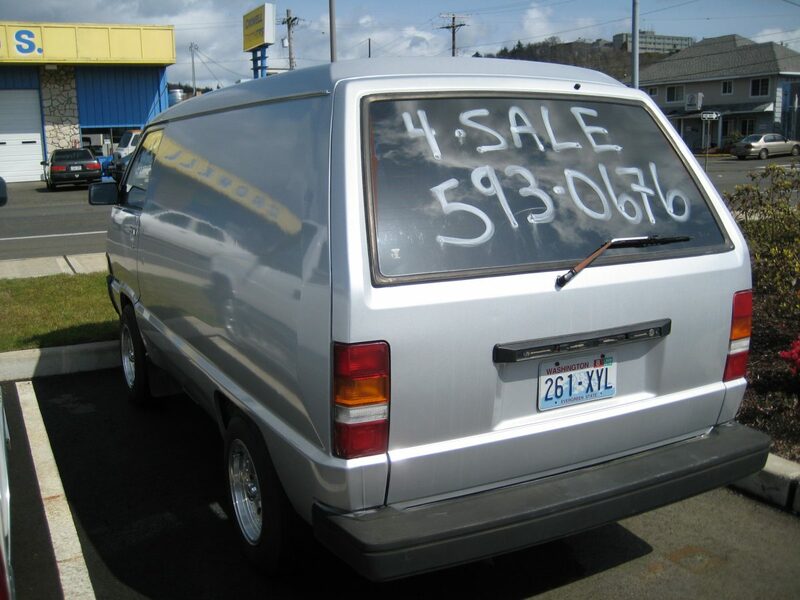 we referenced this site somuch when converting our Dodge Ram Van into our little honeymoon-mobile. We documented our process and listed out all the materials and gear we used on our new blog – Check us out! Thanks again, campervanlife, and keep on rollin’! We don’t sell materials, just give info on how to the conversion yourself. just purchased an Iveco 6.5t Snapon vehicle, v5 says special mobile unit, now i am going to fit it out as a motorized caravan. when this is done and I have sent the photos of and the government is happy. My question is will it be able to go through the standard MOT or will it still need the VOSA to look at it? Hi, I want to convert my 2013 Camry into a 1-2 person sleeper. Is it possible? Has anyone heard of anyone doing this? Please let me know. Thanks! I am at the start of a big life change, my plan is to move into a camper permanently in the UK when I am no longer needed in the family home with my children. I have spent periods of upto ten weeks in a small caravan when the children were younger and spent 6 yrs living in a mobile with no mains drainage or electric when the kids were from 5-14yrs. I hope that gives me a fair idea of what may be in store for me. I am still pondering on wether to go for a van and convert it with help where needed or to go for one already up and running. My plan is to continue to work and be based mainly in one area for the next few years. Any hints tips ideas or alerts to potential pitfalls would be great to receive. The easiest and cheapest way to get a camper is to buy an ex ambulance,i brought a mercedes 310 d 1995 ex st johns ambulance with 48,000 miles not even run in for one these,sold the streacher and 2 chairs that were in it,brought 2 single beds a cooker electric cool box and job done,been all over also lived in it for 10 months in spain. I’ve been keen to acquire my own camper for some time, but am unsure as to the best – i.e., most economically sensible – way to go about it. I’m competent enough at DIY, so kitting-out a van myself is a realistic option. My thinking at the moment is to buy the best, least-travelled van I can for my money and proceed with the conversion at leisure. You may, however, feel that it’s relatively easy and just as cost-effective to pick up a quality conversion for a not-too-stupid price, (i.e., £10,000/13,000). The reality is that doing your own conversion takes a huge amount of time. It is very rewarding, and you can end up with a great conversion at a cheaper price. A DIY conversion will hold its value as well as a professional conversion though. I have done several DIY conversions, and have loved them. However, given that I was going on a big trip I would also consider buying a professional conversion to save time. Perhaps one that needed some updating or fixing if you have the skills, ad this can save money. Hi everyone, just to say hi and that I hope to engage fully on here. I am converting my ford transit to a camper. Hi and I am Stephen. 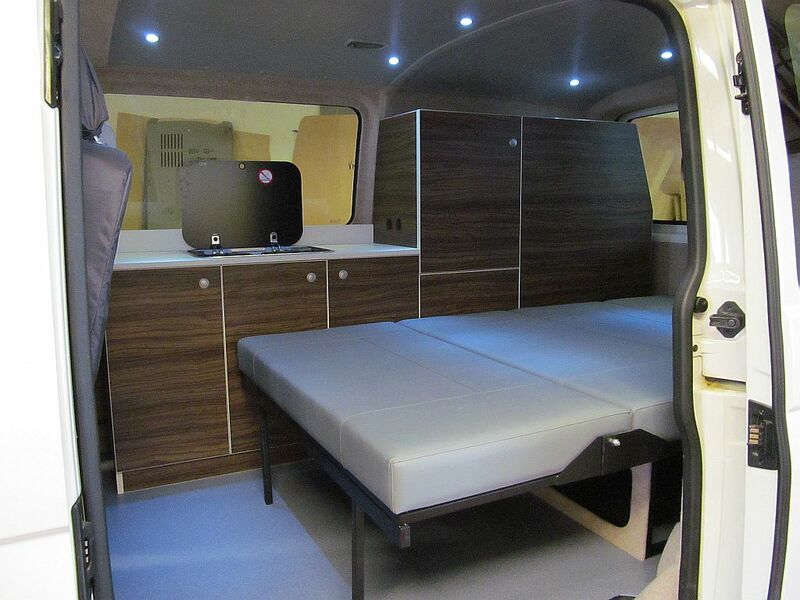 Hi all, we’ve just bought a Vivaro SWB campervan part converted. Does anyone know of a company near Scarbough North Yorkshire that does part conversions? Hello folks, ive just purchased a 51 plate swb low top transit, my plans are to have a bike storage area in back with room for upto 2 mtbs with tools and spares. The aluminium faced wrap is a good insulator, but not as good as cellotex on large flat areas such as walls and ceilings. In fact a mixture of the two would be best, with the celotex next to the wood lining, then the wrap between the celotex and the van walls. This is obviously more expensive though. Either on their own is fine. Celotex is better, both is best. You can get bulk lots of celotex on ebay, and from companies selling second to save on the cost. Floor and roof is best done with celotex. For the floor make a wooden frame that will support the floor plywood, leave gaps for the celotex. Have owned a few campers before ranging from bay window vw’s to the big ole motorhome. Currently converting an old transit swb low roof on a tight budget and loving it. Am looking for advice on what I need to do in relation to fitting battons on the floor sides and roof prior to putting in insulation and sheeting. Just not sure where to start. Anyone with experience to advise please. Hi, I’m currently in the process of doing a fairly simple conversation to a Vauxhall combo and I rather wanted to put a leisure battery in the void under the loading bed behind the passenger seat just to power a little led lighting and hopefully a couple of cigarette lighter sockets in the back for charging phones and powering other such appliances. I was basically wondering if anybody could advise me as to whether I will need to add some ventilation within the void to vent the gases I’ve heard that are created when charging the battery, I’m absolutely clueless about it. Any assistance would be greatly appreciated. Yes you should ideally vent the gases that will build up when charging the battery. Will the battery be in the sleeping area? Hi, thanks for the response, no, it would basically be underneath it in a void behind the passenger seat, although the void is far from air tight and basically directly beneath the head of the bed, I was wondering if perhaps I might be best off to more or less seal the battery in a box and vent that to the outside to ensure the gases go the right way rather than risking them leaking into the rest of the van. Or would that be a bad idea? You’ve got the right idea. I would seal the battery in a box and vent that box to the outside. Ahh good, I shall do that then, thankyou for your advice, it’s much appreciated!! I’m looking forward to getting it done so i can upload some photos and show it off a bit!! Building double bed above two singles – help?? It has two single beds fixed to the floor of the van. At times, we are going to have up to four people living in it, and thus need to build a double bed above the two singles (there is plenty of height for it). Hi guys, new to the scene. We are refurbishing a 1971 T2. We are about to fit the new head lining. I’m looking to use Triiso 10. Does anyone have any experience of this product? I dont have a great deal of experience with conversions but on both my conversions I used some cheap stuff on ebay. I went for it again because it seems to do quite a good job for the price, but my van isnt going to be used in peak winter. Brilliant stuff to handle. sorry I couldnt give you the answer you were after lol. should upload some pics of your conversion if you get a chance. Are you after a workshop manual for the Sprinter? Are you looking how to tap into the Sprinters electrics? I found it quite easy without any sort of manual. The wiring was quite obvious. There are a few workshop manuals options, but none great. There is a official Mercedes manual which I can help you get hold of. What year is your vehicle? Or should / can I buy one in spain. Is it possible / easy to buy one there, and insure / tax it there, whilst not being a spanish resident? 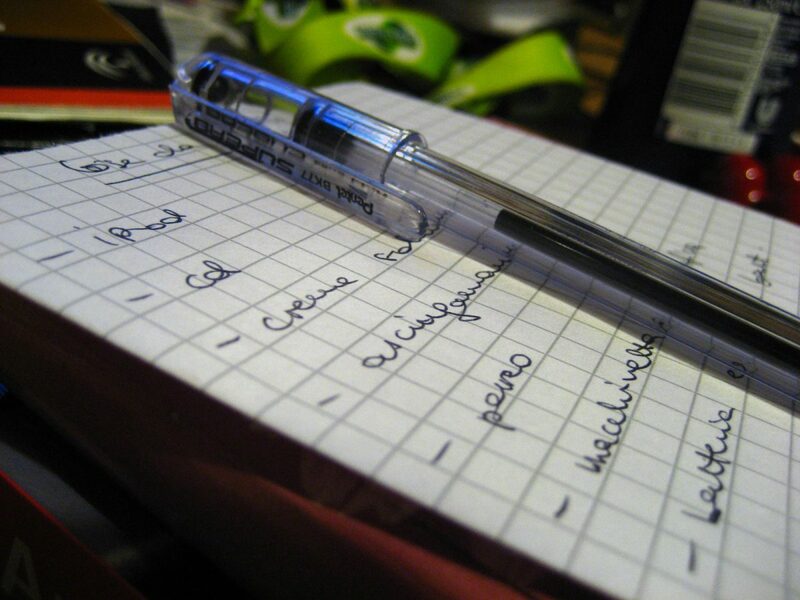 Do you know of any website where I can get a handle on the practicalities of what I should do. I suspect that you can take a vehicle to Spain for 1 year. Longer than that and you need to export it to Spain. Spain doesn’t have a very good used vehicle market. So, vehicles are expensive. Insuring one would probably be difficult whilst in Spain, especially if you don’t speak Spanish. If you intend to stay for longer than 1 year definitely keep your vehicle registered in Ireland. I seek to find a UK supplier of roof tops for conversion – side/ front or rear lifting. I seek to find a supplier of roof tops for conversion – side/ front or rear lifting. GOOD DAY SIR/MADAM ,,we have roof tops for conversion for sale we are based in the UK this is our official email address if you still to buy roof tops for conversion..
GOOD DAY SIR/MADAM ,,we have roof tops for conversion for sale we are based in the UK this is our official email address [email protected] if you still to buy roof tops for conversion..
You need to check the fuses. You need to check the fuses. They are underneath the steering column inside the cab. The back of the cover will show you which fuses to check. Replace any that are burnt out. Need help ! Books, photos and especially way to find Bongo kitchens in USA. Also, a great Convertible (to bed) chair for cerebral palsy adult. The while works here: massage–comfort to the max. Needs to fit Class 1 ambulance. Can anyone help us with the idiots guide to wiring our vw transporter. We are converting it ourselves and can’t seem to get much detailed guidance on how to install the electrics (as at the minute it is just a normal van). We wanna have a couple of sockets for kettle etc… and run a few led lights with switch. We have some information on the leisure battery but not much. Any ideas on who on how to obtain insurance for a UK converted ford transit campervan for expats living in france? They are a broker with lots of different policies. Hopefully they can help you. I have heard that you need to have your fridge on the complete level for it to work properly on gas. the kind of cooling circuit doesn’t matter how you are heating the fridge. is because of the coolant system you want to precise levelling the unit. looks like some one fitted an RS Components two pin socket to power up something neat and flush the on line catalog would be my first starting point for the plug you will need.Then a test to determine voltage and if is powered with the ignition on or off fuse rating and where that is located if it needs replacing sorry i cant do it for you good luck. How much will it cost – roughly – to kit out an old panel van, from scratch to a reasonable standard? There are kids involved! 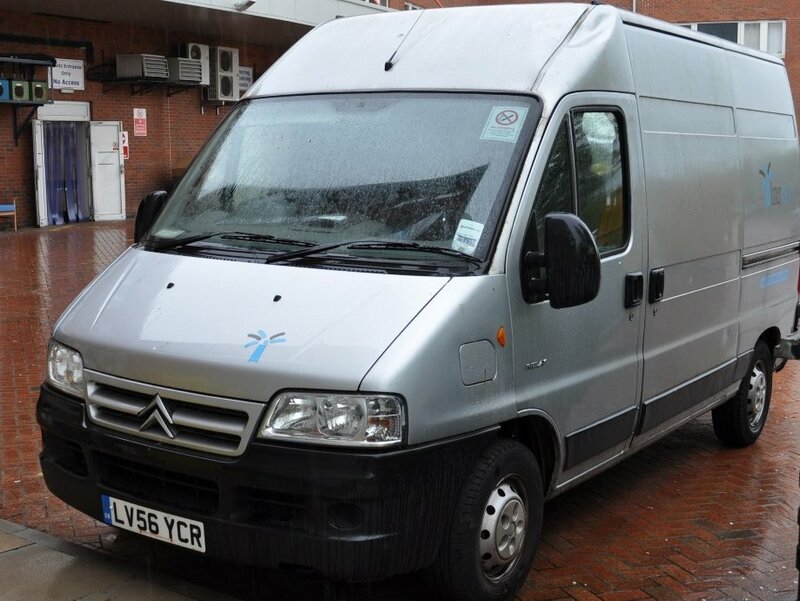 Looking for cost for basic van, electrics, joinery, plumbing and materials. Will self build interiors and get someone to do the electrics? Doing it all yourself, to a reasonable standard I would guess £1,000 – £2,000, not including the vehicle. If you take a long time and spend lots of time sourcing cheap or used parts you can do it for £1,000. Obviously everyones taste and needs are different. Bilbos are the only company I know of that fit side elevating roofs. Yesterday I took delivery of a professionally converted campervan from a well known firm of converters. When I got it home I found the passenger seat several inches higher than the example I was shown when I placed my order when I made a point of sitting in all the seats to check comfort, visibility, etc. My head now touches the roof of the vehicle and I am a very short person. Is there a minimum health and safety rule about headroom in vehicles? I am very disappointed and the firm concerned is not prepared to talk to me about it. Sorry to hear of your problem. The company won’t speak to you about it? This is very bad. What have they said? I bought a 1990 Ford F-150 caravan that came with a solar conversion. In fact, the entire top of the van is this solar add-on. Inside is a large panel with a lighted list. However, the van came without any instructions or paperwork or even a name of a company that made the solar add-on. Does anyone have any suggestions on where I can go for info? I am part way through converting a Mercedes 814, it is seperated into two halves. The back half has back opening doors but no windows. Do you think the dvla will have a problem with the beds being in the back half with no windows? I dont think there will be a problem. Lots of people have done this and had their vehicle re-registered as a camper. 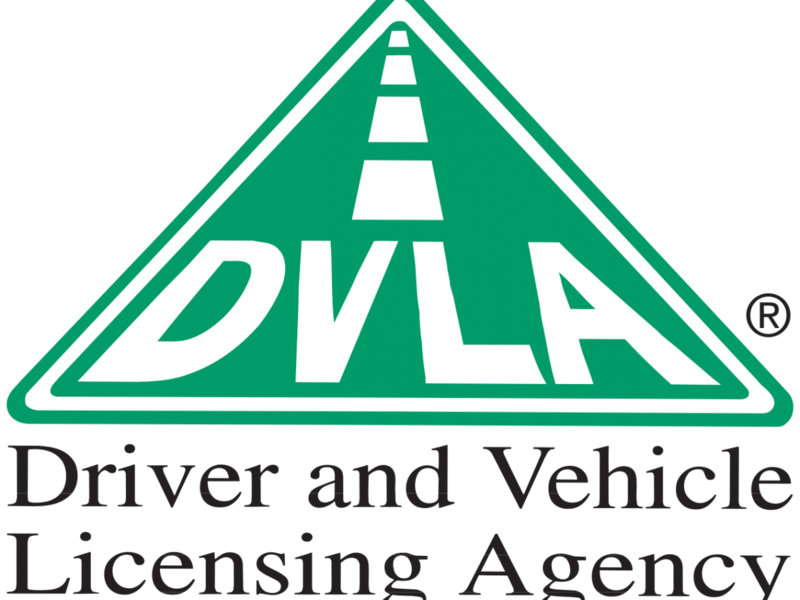 The DVLA are generally looking for at least 1 side window, but they don’t stipulate where the side window should be, or what type. Thanks for help, I’m also looking at fitting a 3 way fridge running on gas when stationary and 12v when moving. Would you think it safe to put it a kitchen cupboard if ventilation holes were made? What alternatives can you think of? A 12v compressor fridge doesn’t require exhaust vents, but runs only on 12 volts (or mains at a campsite). They are more expensive (£400+ new) but cool to a lower temperature. The cheap 12v cool boxes use lots of power and are really unsuitable for long term camping. Hello and welcome. What size is your vehicle. Short, Medium or Long wheelbase. Also what height is it. Regular or high-top?